After having some work experience post my graduation, I wanted to pursue a unique course related something to social welfare. My work experience taught me as to how a person reacts during work pressures, situations and deadlines. I came to know that how a small amount of counseling can produce positive results. Once I started volunteering, I came to know that somewhere I have to make a difference. 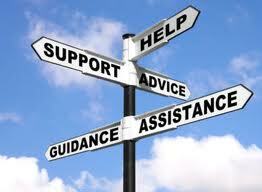 During my course of work experience, I found that people need some guidance or suggestion or rather counseling to help them come out of their problem. My volunteering skills helped me identify my passion. This was effective when I was visiting Jerome’s Old Age Home in Bangalore under the guidance of Charlotte Rao, the then relationship manager at iVolunteer way back in 2006 -2007. Started going there once in a fortnight and tried my best to help them in getting groceries, vegetables, stationaries, clothes etc. On 4th November 2008, myself n my close friend Sudarshan celebrated Diwali at Jerome’s Home ….an old age home in Kammanahalli, Bangalore. I always used to feel when I happen to see Hearing Impaired, Visually Impaired in bus stops, stations struggling to find way to cross, or finding out the address. I felt that although being perfectly abled, am not able to help them. I always observe them closely whenever I get chance. I always felt that they are the bravest souls in this earth, having accepted their disability still they fight and live their life with honor. Since I was more passionate about counseling, I wanted to do counseling esp. for HI, VI, and PD n so on. Even though I couldn’t able to pursue my PG in counseling, but still I made a point that I have to pursue my passion. So I was trying to find out sign language classes so that I can start communicating with Hearing Impaired. Then I met a very very influential person, Prarthana Unkalkar Kaul, Regional Head, East and South. Prarthana is a super enthu energetic socially active person I have ever seen till date. She helped me identify my passion towards volunteering esp. with related to hearing impairment and in counseling. After attending the induction, my vision became clear and she gave me the details of Enable India which turned out to be my dream destination for pursuing my passion. I also spoke with Shanthi Raghavan, the brain behind Enable India. After discussing with her, my vision became more clear and got confidence that I can indeed make an impact in society. My first ever achievement happened around 2011. As I am interested in counseling, so I got a task from Enable India to counsel and teach a Cerebral Palsy girl. I spoke to Vidya and got the details. I personally took this as a challenge. The day i stepped into the room for counseling, I decided that am not going to lose till I give my 100% or till she becomes totally confident. I started going to NGO daily after office hours. I made her emotionally stable, taught her so many general things about life, career, goal, family etc. I also included easy formulas to learn and practice English sentences and words. She practiced hard, counseled her so many times as and when needed. At the end of two months, she was able to speak in English, her confidence level increased and finally, she got the job in a BPO. She became more confident and now she is able to support her family too. After this assignment, I started picking up sign language by interacting with Hearing Impaired and with trainers esp. Reena and Esther, I started observing HI candidates who were attending employability training program, spent good time with them, understanding them, learning sign language and supporting them in their training whenever its needed. I was also being a part of registration and profiling for hearing impaired candidates during registration event. Once I started attending these events on regular basis, I discovered myself, my thought process; my way of thinking everything got changed. During job profiling I used to meet with different types of candidates from diff states, the one common factor with all these candidates was, inspite of having the disability, they look so active, energetic and highly passionate and they have that sense of responsibility to support their family. I can certainly say that from each n every candidate I met, I have picked up something to learn. I can happily say that HI’s whom I have recommended for employability training program; they got their dream job after successful completion of their training. Enable India has CRO program which connects volunteers with PWD candidates for mentoring, supporting, guiding etc. Vidya assigned me a candidate named Ram (name changed), who has hard of hearing problem. I started teaching him about testing since he was interested in that field. Within a short span of time he learned all the concepts and was waiting for interview. But since the opportunities were not there, I advised him to go for scripting and certification. Days and months passed but still he was waiting. I was damn sure that if he gets an opportunity, he will convert that into offer. I cleared all his doubts whenever he asked, used to do counseling through chat, used to keep his morale high. After sometime, his confidence went down to such an extent that he stopped speaking to everyone. He felt that its difficult to sit idle in home for one year, he was totally upset and depressed. I pitched in again and told him other options. Spoke to him about .SECRET, meditation, visualization techniques. He started doing that. He also started focusing on Development and was learning all the concepts. This time I could see his confidence level growing up. Finally few months back, he got offer in one of the reputed companies. Finally he achieved his dream. I still remember the day when he mailed me about the offer. I could feel his happiness; it was evident that he achieved his dream on his own efforts. Best part was that he didn’t go to any centre to update his skills; he just updated everything through Net. 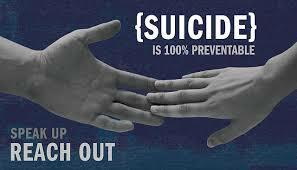 Since I was a part of one online suicide prevention counseling group, so I had a chance of counseling few people who were undergoing depression in some way. I used to order few motivational books to all my contacts personally. Many got changed, they reinvented themselves. All of these were done through chat. Successfully converted two cases of suicide attempt, I would rather say that they were about to take that last option, and I pitched at right time. For both of them, counseling were done through phone. Initial session went for some hours. Believe me, it’s really tough to make them understand that time. We have to make them realize the importance of life; we need to make them convince that still options can be worked out to lead better life. Once I felt that they were recovering from that trauma, then it became little bit easier for me to take it further. I also gave some small-small exercises to help deal with the problem. They recovered fully after few days. Now both of them are doing well. Felt happy that at-least I can able to save two lives. This experience also taught me so many other things which proved helpful when I did related counseling with few other people. Through counseling I have made couple of friends outside India also. I got an opportunity to train few HI employees of one company for basic life skills, office etiquettes, target accomplishment etc. Initially I was no nervous to teach them in sign language but Reena, Junaid supported me and I kick started my first ever training for hearing impaired candidates exclusively in sign language. Finally I was accomplishing my short-term dream of taking training sessions for HI’s. During the course of training, I also picked up so many signs from the candidates. Through this project, I got the chance to fine tune my sign language skills. Amidst of all these, I keep attending events which helps me to connect with different sorts of people, to understand their problem, to help them whenever there is a need. All the credit goes to Prarthana for identifying my passion, molding me and guiding me in right path. I have learnt so many things from her by being part of some memorable events. My special thanks to Vidya from Enable India who has been guiding me in all my projects. Hi Nataraj…You truly are an example for all who think wisdom does not comes with age..!! Kudos to You!!! Thanks Prarthana for all the support. Last week I met a mentally retarded guy in Enable India during registration. He came there for employment opportunity and has been refereed by Spastic Society. Noone was approaching him initially since he was looking little bit scary and everyone were in a doubt that he might behave abnormally while speaking. I took a chance and convinced Hema that I will handle this person. I took him to a room and started talking to him. Initially he was not opening his mouth, I kept asking so many questions. For more than 15 mins, he was just silent, I started giving him some hints for the questions I asked. He started responding. Then I switched to Hindi since he hails from Ahmadabad. Then I changed the topic and started asking his likes n dislikes. Now the conversation started. Only thing is that we have to make him answer by giving appropriate hints. Even-though he is 20+, he has finished only 10th class through scribe. I understood that he has been isolated till now, he s comfortable only with his parents. We understood that he needs some space where he can talk to others, do basic work and involve himself in some tasks. So we called his parents and told them this. His father also insisted that he doesn’t wants his son to be idle, he should be busy with some tasks. Even-though he looked fiery, but once i started talking to him, i discovered that he is still child at heart, we need to be really caring and should have patience to deal with these people. We told them that there is a training happening for Physically challenged people. We told them that he can attend that training just to make sure how he mingles with group, how he communicates. After one week, I got feedback from Vidya that this guy is doing extremely well, he is taking initiative and he started learning few basic things under supervision. Now he travels in a bus, gets down at the particular stop and goes for this training independently, I really got moved after I heard this from Vidya, Now his parents are also happy to see him busy.